Excellent news! 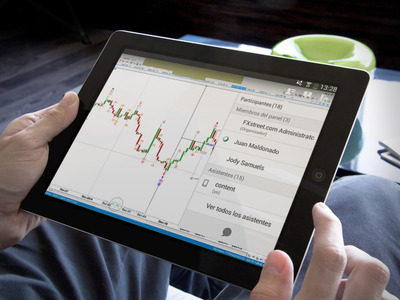 FXStreet users can now access our webinars from their Android smartphone or tablet. Cisco, the company that develops WebEx, the platform we use to host our live sessions, has released the necessary technology and app to join meetings from mobile devices. We’re very excited about this as users had been requesting us the option to attend our webinar on a mobile mode… something that was not directly in our hands. We’ve been giving feedback to WebEx in frequent occasions asking for such a development (and we are pretty sure we were not the only ones!). They told us they were working on an iOS app so iPhone and iPad users could also enjoy this new feature. Download the Cisco WebEx Meetings App on the Google Play Store before joining a webinar from your mobile device. This app is free. Next Next post: FXStreet staff: Hasta Luego Sandra, y gracias!